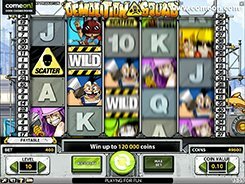 Demolition Squad is a 5-reel 40-payline slot powered by NetEnt and is themed around demolition of buildings. 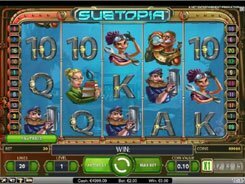 Unlike most other slots, this particular game has a 5x4 reels configuration, with four rows of symbols across the set of reels. 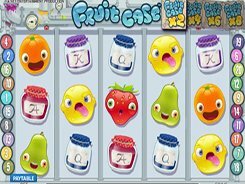 By adjusting the number of coins (1 to 10) and a coin denomination ($0.01 to $0.5), you can make a stake that varies from $0.4 to $200 per spin. On the reels you will come across classic poker cards from 10 to Ace as well as five demolition workers and a robot. 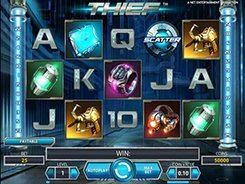 The slot features two wild symbols, a scatter, free spins round and the top jackpot prize of $20,000. A wild substitutes for all non-feature icons helping create a winning combo. 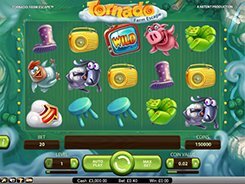 If two wilds appear on the same row, all symbols between them will morph into wilds which can significantly boost payouts. 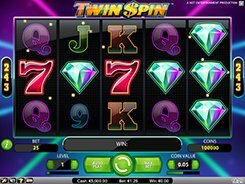 Watch out for Yellow Triangle symbols since they act as scatters and can award 10, 20 or 50 free spins with all wins tripled during the feature if 3+ scatters land anywhere in view. 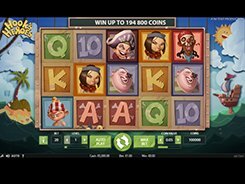 By and large, Demolition Squad is a fast-paced slot with decent cash prizes and a host of winning opportunities.